Bowers’ XT3-BT Holematic offers an ergonomic design with a larger and clearer LCD display, along with IP67 electronics protection, proximity output with built-in Bluetooth; allowing bi-directional communication giving greater flexibility for data acquisition and storage. The extended mechanical travel of the XT range means that special heads can also be manufactured to accommodate users most awkward measuring problems. Measuring heads for threads, splines, slots, grooves, deep-holes and many more applications are available on request. The Bowers XT3-BT range can be supplied as individual instruments or in complete sets, with UKAS certification of both measuring head and setting ring as standard. Bowers’ XT3 digital internal micrometers offer a new ergonomic design - including a larger and clearer LCD display - along with IP67 electronics protection, proximity output with built-in Bluetooth; both allow bi-directional communication giving greater flexibility for data acquisition and storage. The extended mechanical travel of the XT range means that special heads can also be manufactured to accommodate users most awkward measuring problems. 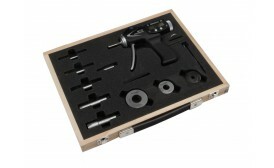 Measuring heads for threads, splines, slots, grooves, deep-holes and many more applications are available. Bowers’ Bluetooth XT3-BT digital internal micrometers offer an ergonomic design - including a larger and clearer LCD display - along with IP67 electronics protection, proximity output; allowing bi-directional communication giving greater flexibility for data acquisition and storage. The extended mechanical travel of the XT range means that special heads can also be manufactured to accommodate users most awkward measuring problems. Measuring heads for threads, splines, slots, grooves, deep-holes and many more applications are available on request. 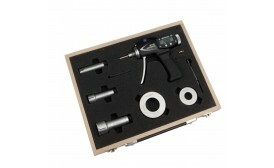 The Bowers XT3-BT range can be supplied as individual instruments or in complete sets, with UKAS certification of both measuring head and setting ring as standard. Bowers' XT3 Holematic offers an ergonomic design - including a larger and clearer LCD display - along with IP67 electronics protection, proximity output with built-in Bluetooth; both allow bi-directional communication giving greater flexibility for data acquisition and storage. The extended mechanical travel of the XT range means that special heads can also be manufactured to accommodate users most awkward measuring problems. Measuring heads for threads, splines, slots, grooves, deep-holes and many more applications are available. Non Bluetooth options are available upon request. Bowers' XT3 Holematic offers a new ergonomic design - including a larger and clearer LCD display - along with IP67 electronics protection, proximity output with optional built-in Bluetooth; both allow bi-directional communication giving greater flexibility for data acquisition and storage. The extended mechanical travel of the XT range means that special heads can also be manufactured to accommodate users most awkward measuring problems. 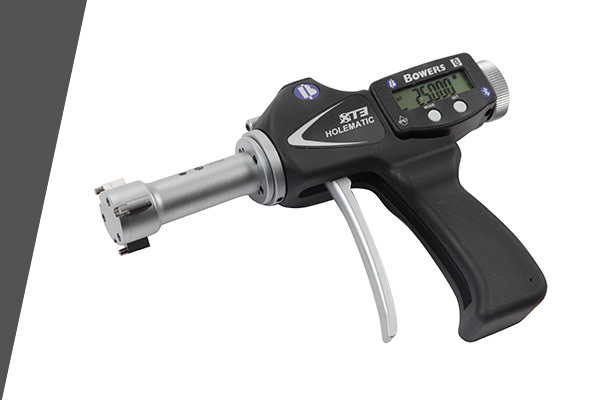 Bowers' XT3 Holematic Xtreme offers a new ergonomic design - including a larger and clearer LCD display - along with IP67 electronics protection, proximity output with optional built-in Bluetooth; both allow bi-directional communication giving greater flexibility for data acquisition and storage. The extended mechanical travel of the XT range means that special heads can also be manufactured to accommodate users most awkward measuring problems. Bowers’ Bluetooth digital internal micrometers offer a new ergonomic design - including a larger and clearer LCD display - along with IP67 electronics protection, proximity output with built-in Bluetooth and bi-directional communication giving greater flexibility for data acquisition and storage. The extended mechanical travel of the XT range means that special heads can also be manufactured to accommodate users most awkward measuring problems. Measuring heads for threads, splines, slots, grooves, deep-holes and many more applications are available.